The fastest and easiest way is to take a screenshot of the visualization, then share that image. This is the only way to share visualizations with others who don't have access to your Thematic. 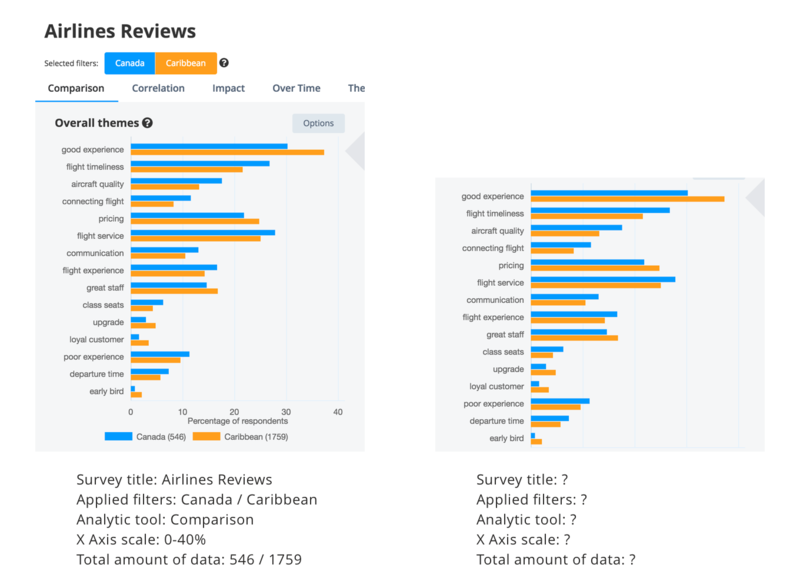 Tip: Include the full visualization in your screenshot so your reader can see the survey question and any filters you have applied. 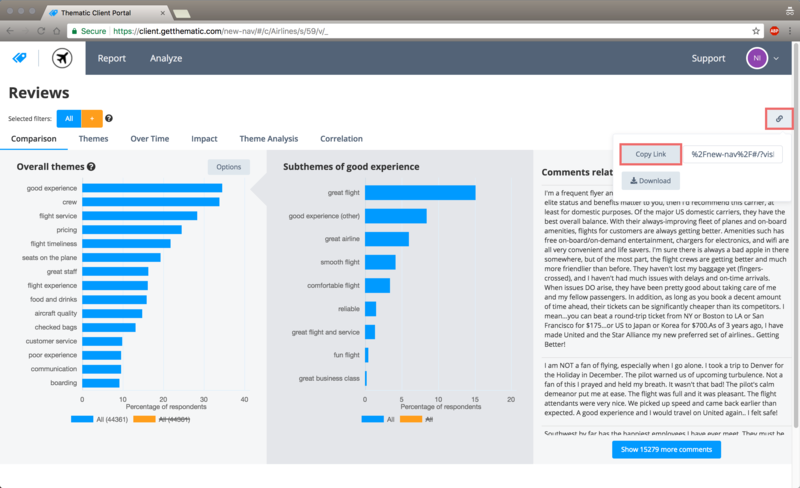 You can share a URL that will link to the exact visualization you are viewing with any applied filters. The person clicking the link must be logged into a Thematic account with permission to view that survey. Get the link by opening the share menu on any analytic tool and clicking "copy link" or copying the url . You can also use this URL to quickly return to the same filters, read how to here.